Since I’ve been baking regularly, I seem to have a lot of supplies around all the time. It’s really bad to have a couple of pounds of chocolate in varying degrees of sweetness just lying around the house. It’s tempting. My kitchen is especially enticing since I have extra Cupcake Camp groceries. 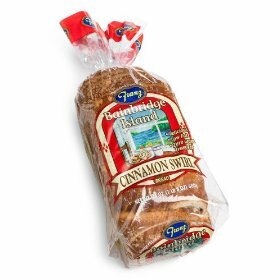 Every time I walk through the kitchen, I have to divert my eyes from the loaf of Franz Bainbridge Island Cinnamon Swirl bread waiting to be made into French Toast cupcakes. I just ate a couple of handfuls of bittersweet chocolate chips that I used to make the fudge for the center of Drumsticks. The Uncle Woody’s Caramel Popcorn is whispering to me. I’m glad I haven’t broken the seal on that yet. After this weekend, the rest of that bag is going to have to go to work with me so someone else will eat it up. There are always mini marshmallows around (usually a bit stale, fortunately) waiting to be packed around cupcakes for transport. I need to lose about 40 pounds, but I think I’d have an easier time if the Alphabet of Cupcakes wasn’t going on… and I stopped trying inventive cupcake flavors that my favorite bakeries have produced… and Bakery Nouveau would just stop opening their doors! Did I mention that we stopped there yesterday for Chocolate Cake and Praline Dream? Mr Shuck was driving, so I blame him… And he made the Hazelnut Cream decaf coffee to go with them once we got home… I only ordered, carried to the car, and consumed half of each one. (Chocolate Cake: super moist chocolate cake layered with 64% chocolate mousse and finished with chocolate glaze and chocolate shards. Praline Dream: 64% chocolate mousse with a delicate and flakey milk chocolate and praline paste layered on a chocolate biscuit finished with Gianduja – fancy word for Nutella.) If you are a Seattle reader and you haven’t ventured to Bakery Nouveau, VENTURE soon! Or maybe you shouldn’t, then they will have to close and lock their doors permanently and I will no longer be drawn through them.